Travis Harvard Whitney was born in Indiana on 22nd June, 1875. 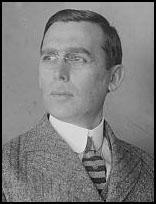 He graduated from Harvard Law School in 1903, was assistant secretary of the young New York City Citizens Union. Whitney married Rosalie Loew, attorney in chief of the New York Legal Aid Society, in 1903. The couple practiced law as Loew & Whitney. Over the next few years Rosalie gave birth to Travis Jr. (1904), John (1905), and William (1907). Loew was Jewish and according to her biographer, Dorothy Thomas: "It is known that she converted to Protestantism, although records of the details are not available. The Whitneys may not have been wholly estranged from her family: Travis gave a speech in synagogue, and in the 1930s, Rosalie helped her parents’ relatives resettle in the United States." 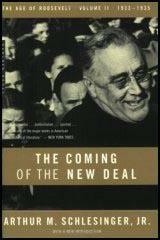 In 1933 Mayor Fiorello LaGuardia appointed him as an official of the Civil Works Administration as part of the program brought in by President Franklin D. Roosevelt to tackle the problem of unemployment. At the time he was very ill and his doctor told him of the necessity of rest and probably of an operation. "I think I can last," he told his doctor. The journalist Heywood Broun, remembers receiving a telephone call from Whitney: "He called up to say that if the Newspaper Guild would furnish him a list of unemployed reporters he thought he could place some under the CWA." Broun went to see him straight away: "We expected to find an office and an office boy and probably a couple of secretaries, but Whitney had a desk thrust right in the middle of a large and bustling room.... The tall, gaunt man with deep-sunken eyes... sat there and rode the tumult like a city editor." Broun wrote in It Seems to Me (1935) that Whitney realised that he was very ill but he insisted on working: "Unquestionably this shambling, thin man peering a little dubiously through glasses had a concern. It was a passion. I suppose it is a little difficult to make paper work seem as exciting or romantic as cavalry charges. But you see he had found his moral equivalent for war." Travis Harvard Whitney died on 8th January, 1934, after complications from emergency surgery for a bleeding ulcer. William James said that mankind must find a moral equivalent for war. Blow, bugles, blow, and let us put a ribbon with palms upon the breast of Travis Harvard Whitney. No soldier could have been more gallant than the man who crumpled at his desk in the Civil Works Administration. Before he would submit to being taken to the hospital where he died, Whitney insisted on giving directions to his assistants as to how the work should go on. He was torn with agony but it was his commitment to put two hundred thousand men and women back to work. This was just something which had to be done. I saw him once, and in the light of his death I am not likely to forget. He called up to say that if the Newspaper Guild would furnish him a list of unemployed reporters he thought he could place some under the CWA. "When do you want to see us" I asked. "Come down now," he answered. We expected to find an office and an office boy and probably a couple of secretaries, but Whitney had a desk thrust right in the middle of a large and bustling room. He sat there and rode the tumult like a city editor. There were no preliminaries of any kind. The tall, gaunt man with deep-sunken eyes began by asking: "Now when do I get that list?" I've heard so much about red tape and bureaucracy that I didn't suppose he meant immediately. "It will take a little time," I told him. "We haven't got a very big clerical force or much office space, and of course John Eddy will have to check up on the names for you. Let me see - this is Thursday - suppose we get you that list a week from Saturday and then on Monday we can really begin to get to work on it." He indicated impatience. "That won't do at all," he said. "You don't understand. This is a rush job. Every day counts. Can't you let me have part of the list the day after tomorrow? This ought to be done right away. Can't you call me on the phone tonight?" "Where can I get you after dinner?" I asked. "Right here." "I can't tell. I'll be here until I finish." Travis Whitney made good that promise. He worked all day and he worked all night. He knew he was critically ill when he took the appointment. Doctors had told him of the necessity of rest and probably of an operation. "I think I can last," was his rejoinder. And he set himself to win that race. Two hundred thousand jobs before the end came. I think it was Lord Nelson who had an ensign lash him to a mast at the battle of Trafalgar. Whitney's courage was better than that. He chained himself to his desk by a sheer act of will. The people around could see him grow dead gray in the late hours. Almost you could hear the step of his adversary advancing. But all he said was, "We must hurry." He felt not only the pangs of his own physical torture but the bite of the wind upon the bodies of men who walked the streets without shelter. I don't know what the economic philosophy of Travis Whitney may have been. He didn't have time to talk about it. "Some day" just couldn't fit into his scheme of things. His thought was of two hundred thousand jobs which must be made and handed out without delay. He had the harassed look of a flapjack cook in a lumber camp. "Right away" rang in his ears like a trumpet call. Maybe somebody came and said to him, "But don't you realize that you're not solving anything? This is just a temporary expedient. When the revolution comes..."
And I imagine Travis Whitney turned a deaf ear and only said, "Two hundred thousand jobs and this has got to be now." He couldn't make the life force last until he had surged across the line. They put him on his shield and carried him away, and I hope that on his tomb will be written "Killed in action." Unquestionably this shambling, thin man peering a little dubiously through glasses had a concern. It was a passion. I suppose it is a little difficult to make paper work seem as exciting or romantic as cavalry charges. But you see he had found his moral equivalent for war. And I rather think that when next I hear the word "heroism" my immediate mental association will not be that of any brass hat on a hill but of Travis Whitney bent over his desk. And maybe I will see him as a man against the sky. And I will hear him as he says, "More gently, death, come slower. Don't touch me till my job is done."